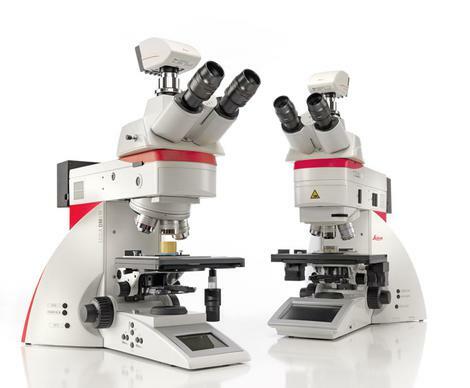 Leica Microsystems has launched the Leica DM4 M and Leica DM6 M upright microscopes for materials investigation. The systems are designed for imaging, measurement and analysis of similar features across many samples and materials. While the DM4 M is designed for manual routine inspection, the DM6 M is capable of fully automated materials analysis. Automated functions such as the Illumination and Contrast Manager make users’ work lives easier because they reduce complex adjustments to the push of a button. Both instruments are equipped with LED illumination. For applications such as steel inclusion rating, particle analysis, phase or grain analysis, users benefit from expert modules of the Leica Application Software (LAS). The Illumination and Contrast Manager supports users by automatically recognising the selected contrast technique and objective in use, accurately opening and closing the aperture and field diaphragms, and adapting the light intensity accordingly. LED illumination takes care of homogenous lighting with a constant color temperature at all intensity levels and any microscope setting. This way, the camera setting and white balance can remain constant as well and do not need adjusting. LEDs are energy-efficient, radiate little heat, and last up to 25,000 hours. The microscope software Leica Application Suite (LAS) turns the microscope and its accessories such as a camera into an imaging system. “LAS is workflow-oriented and helps users at every step in their tasks. With the Leica DM6 M, a lot of expert modules of the LAS such as Cleanliness Expert, Grain Expert, Phase Expert, or Steel Expert are a valuable help, since they adhere to documentation regulations and enable users to produce reports in a very short time,” explains Motyka.